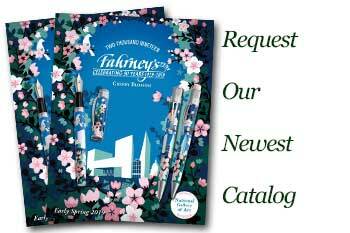 Order your Faber-Castell Ondoro Smoked Oak Rollerball Pen today from FahrneysPens.com. Fine Pens, Refills & Luxurious Gifts – great prices & fast shipping. 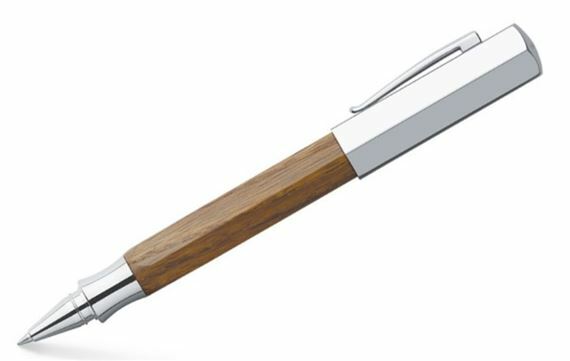 Faber-Castell makes writing easy and comfortable for both men and women with the bold, hexagonal shape of Ondoro Rollerball Pen, now in a smoked oak solid wood finish. The large Ondoro barrel is topped with a chrome-plated metal cap for a look that goes from day into evening with ease. Of course, you get the superior quality and writing performance that make Faber-Castell pens so desirable. For quick notes we recommend the Ondoro rollerball with fast-drying, liquid ink that does not smudge. Enjoy! Great Pen, Love the Wood and workmanship.